Tech Byte 4 U|Register Internet Download Manager FREE!! In this tutorial i am gonna explain a way to crack Internet Download manager. This crack works with any version of IDM. In my last post i have explained a manual way of inserting registration key, but many of you are getting problem in doing so, so i am here with a very easy procedure to get IDM free. 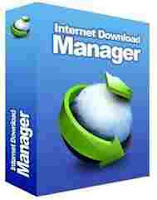 Internet Download Manager(also known as Idman) is an excellent internet download accelerator that will care of all your downloads from the moment you install it on your PC. If you want to increase download speed, this tool can help you to increase download speeds by up to 5 times, resume and schedule downloads. High speed internet connections are common these days, Even if you have the fastest router in the neighborhood, take a look at Internet Download Manager , because it really has a lot to offer. 1. Download and install free trial of IDM. If you finish this step correctly, then it will show a 'success message' under Kill Server check. 4. Now your IDM is registered by default with a key, but if you want to register it with your name then first you need to clear previous registration information from IDM. For that press button clear previous registration data. 5.Now open IDM > press yes if it ask you to register IDM > Enter your name, mail id etc. > In Serial key field enter the serial key generated by crack. and press ok.
6. Now you have registered IDM successfully, you can check the registration details from Help > About IDM. i'm sorry but can you change the link to download the crack because megaupload is not available in my country. thanks! do u have a full version of winrar pls!!! @Jayesh... will try to fulfill ur request soon. Keep checking the upcoming posts!! surbhi really thankful to u..can u please tell me if keypatch can be used for other programs alos..
Hi sis, Surbhi.... I'm from Myanmar and I just saw u r blog from Google and try u r step for IDM.It's working amazing and now I have registered IDM in my computer bcoz of u. Thanks u so much sister. I would like to follow on twitter but I have only facebook account. I'll try later. and thanks again. thanks a lot it's really worked. can we use same method to register download accelerator plus(DAP). . . . .?? you should proud to be and Indian but personally i am Pakistani. It's working good..... thanks a lot for the giving so much knowledge of IT. thanks a lot surbhi..u r toooo good just as your looks..
it's not working on 6.09 it says "Patching Failed: Can't find the pattern, wait for next ReleaseVersion!" yippie..!!! it works on windows 7 also.....thanxxxxxxxx a lot. Patching Failed: Can't find the pattern, wait for next ReleaseVersion! what should i dooo? U r great . Please tell me how u find those hacks ... And Please find a technique to hack cyberlink Power dvd 12.... plz plz plz didi I need that! Patching Failed: Can't find the pattern, wait for next ReleaseVersion! wat to do????????? 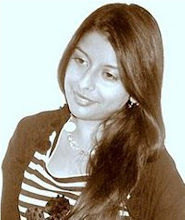 Hi Surabhi! after running the patch, my win7,HP computer shows virus alert and suddenly the 'seek n Destroy' box extinguishes. i m using Avast Antivirus. Please help! Hey SURBHI,ur keypatch.exe file showing a virus alert by google docs....m using win7 nd Mcafee security on DELL....need ur help!!!! my idm is registered thank you..
How can I register my Idm if it is already reach its 30 days trial version? please help!, idm is not work, after doing with keypatch,it says idm is rgistered with fake serial no. or serial no. is blocked..
m Getting error : Patching Failed: Can't find the pattern, wait for next ReleaseVersion! it is showing this message-"Patching Failed: Can't find the pattern, wait for next ReleaseVersion!" It's possible to update IDM, after installed crack..? thanx a lot shurbhi, it worked!!! !